Patients with sports-related injuries need to learn to perform rehabilitative exercises with correct movement patterns. Unfortunately, the feedback a physiotherapist can provide is limited by the number of physical therapy appointments. We study the feasibility of a system that automatically provides feedback on correct movement patterns to patients using a Microsoft Kinect camera and Machine Learning techniques. We discuss several challenges related to the Kinect’s proprietary software, the Kinect data’s heterogeneity, and the Kinect data’s temporal component. We introduce AMIE, a machine learning pipeline that detects the exercise being performed, the exercise’s correctness, and if applicable, the mistake that was made. To evaluate AMIE, ten participants were instructed to perform three types of typical rehabilitation exercises (squats, forward lunges and side lunges) demonstrating both correct movement patterns and frequent types of mistakes, while being recorded with a Kinect. AMIE detects the type of exercise almost perfectly with 99% accuracy and the type of mistake with 73% accuracy. 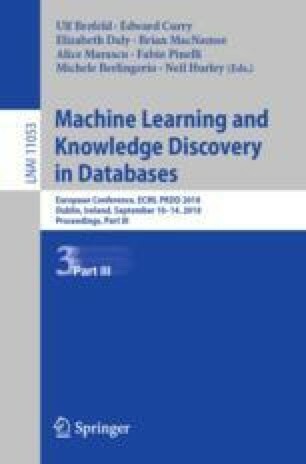 Code related to this paper is available at: https://dtai.cs.kuleuven.be/software/amie. Tom Decroos is supported by the Research Foundation-Flanders (FWO-Vlaanderen). Kurt Schütte and Benedicte Vanwanseele are partially supported by the KU Leuven Research Fund (C22/15/015) and imec.icon research funding. Tim Op De Beéck and Jesse Davis are partially supported by the KU Leuven Research Fund (C22/15/015, C32/17/036).